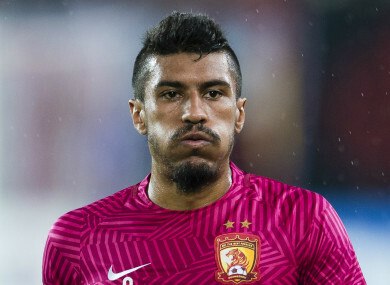 Chinese Super League side Guangzhou Evergrande have announced the return of former midfielder Paulinho. The Brazilian made 49 appearances for Barcelona last season. The midfielder was a surprise arrival at Camp Nou last summer, arriving towards the end of the transfer window following the sale of Neymar. Paulinho’s exit will open up a spot for compatriot Arthur, who is set to join the Blaugrana from Gremio this summer. Colombia’s Yerry Mina is another whose future appears uncertain at Camp Nou, with interest from Everton arising for the central defender. Email “'Welcome back' - Barcelona midfielder Paulinho returns to Chinese Super League”. Feedback on “'Welcome back' - Barcelona midfielder Paulinho returns to Chinese Super League”.